"Guests at our wedding have since repeatedly commented on Jim's level of professionalism and unobtrusive methods. We could not have been more pleased! We love our album and look at it frequently. Our only wish is that we could be married again (working with Jim was such a blast!). Even though we had less than perfect weather, Jim found a way to incorporate even a snow/slush storm into a great wedding photo. We want to thank you again for capturing such precious memories so beautifully! We have and will continue to recommend you to anyone who has photography needs." "I was especially pleased with the service Jim provided us with. He was very pleasant, patient and helpful to all. He worked very well with the limited time we had to take our pictures. People commented on how pleasant and professional Jim was. Our proofs were available before we returned from our honeymoon. The quality of the photos was great. DeLuco Photography offered us exactly what we were looking for in a quality wedding photographer. I wanted to thank you again for doing such a wonderful job at our wedding. You truly helped to capture all of the important moments of our wedding." "Jim was extremely helpful and offered lots of advice. I loved the proofs, especially that we could keep them. The album was gorgeous. 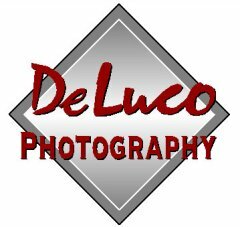 I'd recommend DeLuco Photography for how pleasant and professional they were, and the service after the wedding was five star. Not only did we use them for our wedding, but also for a photo album reproduction for my parent's 40th wedding anniversary. I can't wait until my husband and I have our first child so Jim can do our first family photos!!"